In response to the quartz crisis, Le Jour has risen from the ashes like a phoenix. 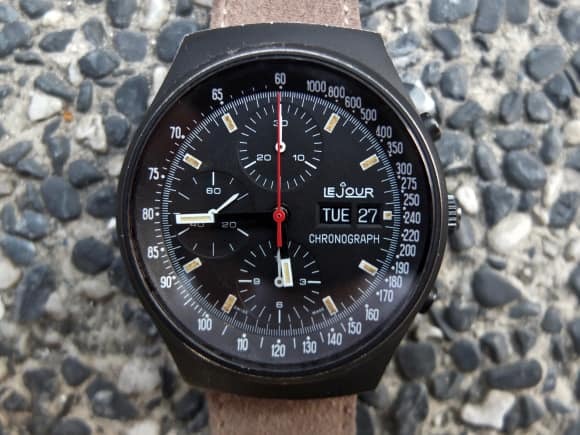 The French company, which has distributed Heuer chronographs in Europe (overseas under the macro name “Yema”) similarly to many other manufacturers, was hit hard by the quartz crisis and went bankrupt. In the 1980s, the watch manufacturer Heuer has made watches as a “white-label product” for many different manufacturers. For instance, The Heuer model Pasadena PVD 750.501 was sold under the label “Le Jour” and “Yema” as the model 7203. Today, Le Jour wants to revive the classics by following the design language of the 60s and 70s. Le Jour recently introduced its new Vintage Diver collection; the diving watch features a Swiss made ETA 2824 automatic-movement with date indication and a dome shaped sapphire crystal with anti-reflective treatment. Hands and hour markers are treated with SL C3 green fluorescent Super-LumiNova. The brushed 307L stainless steel case has a 40mm diameter is highly resistant against corrosion and has a water resistance of 30 bar / 300 meters. The new Vintage Diver Collection is inspired by the vintage model “Superman” Ref. 87062 K. Le Jour introduced the “Superman” in 1963 with a water resistance of 300 meters. 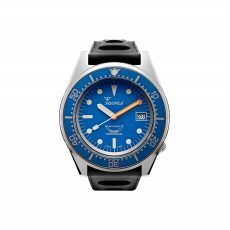 In fact, it was the first “diving watch for the masses”, because it was still easier to afford rather than models made by Swiss manufacturers. Classic diving watches were traditionally worn with leather- or (tropic) rubber straps. 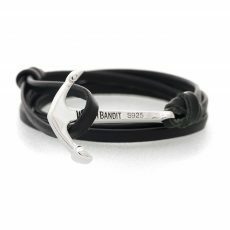 WatchBandit offers a suitable WatchBandit Originals vintage-, suede leather and nato straps (-1 piece, -2 piece) for this style. 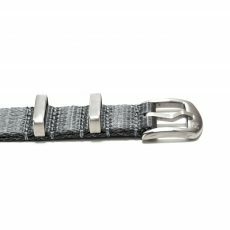 Furthermore, we offer metal straps to whom leather and nylon is not an option. The Mark I collection is the reincarnation of the model “7203” from the 1970s. 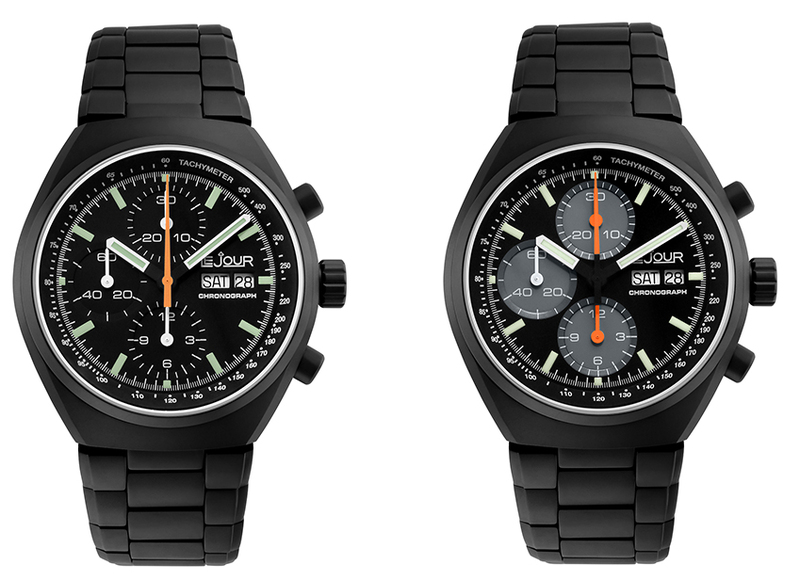 No doubt: The design is clearly inspired by the famous Speedmaster Mark II (1969). Public could address it as “the small step-brother”. In fact, the Mark I costs less than half the price of the older brother by Omega, despite its high-end case and material finish and swiss ETA Valjoux 7750 automatic chronograph movement. The high-quality and corrosion-resistant 316L stainless steel case with a diameter of 42.5 mm and 16 mm tall, the Mark I has quite a presence on the wrist. As the video at the end of this article shows, it is not too big in its size and it can be worn comfortably despite its dimensions. The Mark also features an anti-reflective sapphire crystal and a high quality 307L steel bracelet with solid lugs. Each link is finished by hand. The Mark I 003 and -004 are PVD treated. PVD (“Physical Vapour Deposition”) is a vacuum-based coating process in which a thin layer of e.g. 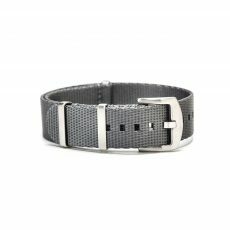 extremely resistant material can be brought evenly on the watch. 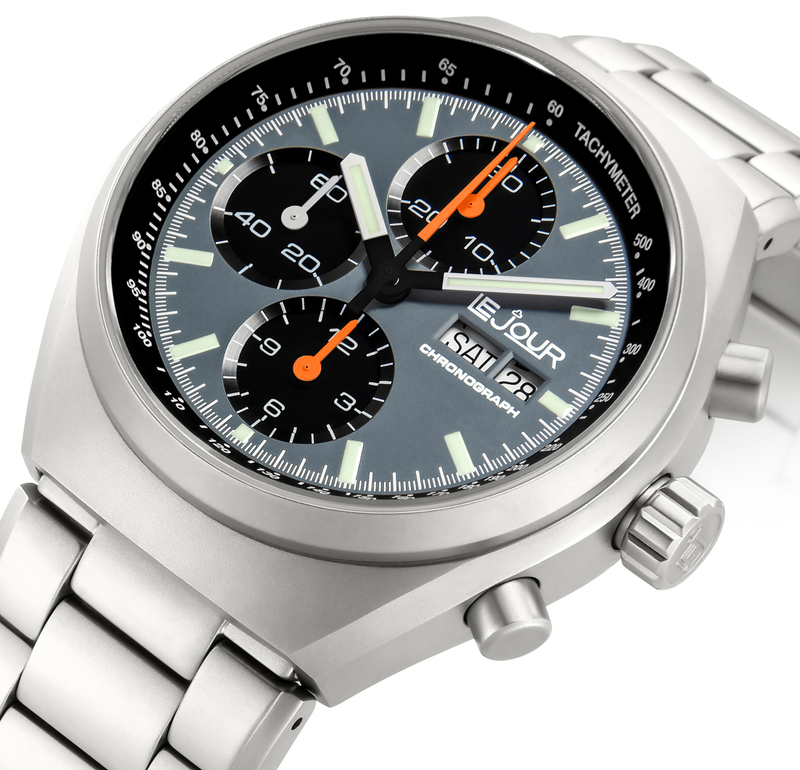 We at WatchBandit are very proud to be the exclusive distribution partner in Germany for Le Jour watches!